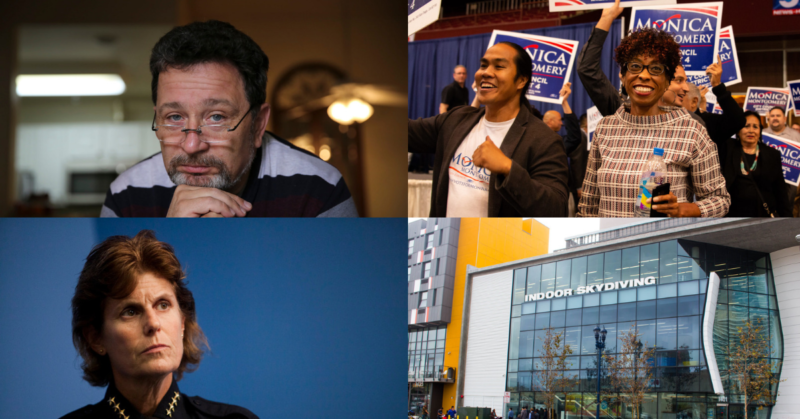 Our journalists take a look back at the stories that made us proud over the past year. In 2018, the people in charge in San Diego tried to sell us some whoppers. County officials praised their own brilliant handling of the hepatitis A epidemic. City water bosses spouted nothing-to-see-here platitudes when customers got socked with humongous bills. The police department used statistics to paint pot shops as a public menace. As our journalists discovered, it was all fake news. 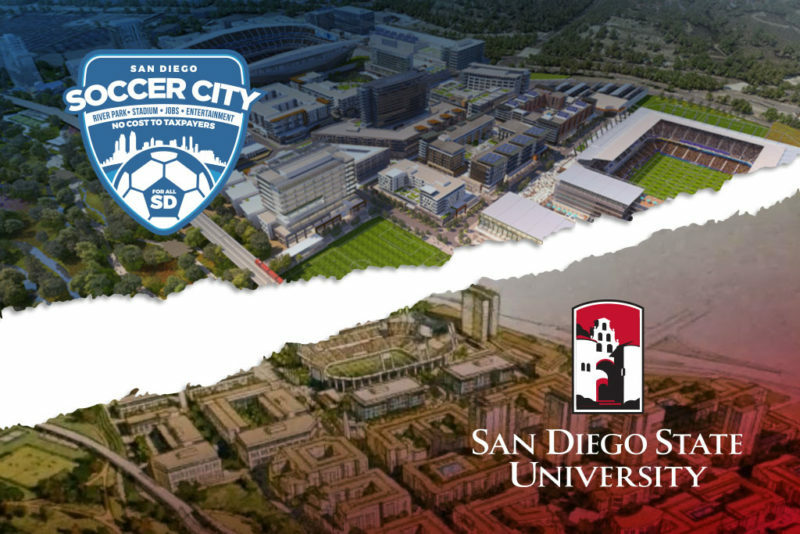 What it’s about: Early in 2018, I decided to look into why SoccerCity and San Diego State had not been able to come to a deal for what should be done for the land under and around SDCCU Stadium in Mission Valley. Friends of the university and the soccer investors were promoting similar but rivaling ballot measures, and we knew that the soccer guys and university had once been deep in negotiations. How’d it all fall apart? That question took me months and dozens of interviews to answer. I learned that they had come very close to a deal, in fact, as close as a symbolic handshake. Why the writer likes it: Many of our major political movements, ideas and projects are still hatched behind closed doors, often between just a couple of wealthy men. This was certainly the case with this budding partnership that turned into a bitter rivalry. After three years, the fate of the land engaged hundreds of thousands of San Diegans. Those early meetings mattered, and I loved giving readers a window into how it all went down. What’s happening now: The SoccerCity plan lost at the polls. The city of San Diego and SDSU are now beginning an unprecedented negotiation for how much the university will pay for the land and what it will do in exchange for getting the sole right to purchase it from the city. The land is set to be transformed by SDSU and the most powerful people in higher education in the state of California will be involved, if not the governor himself. Along the way, SDSU has made four major promises. We intend to keep them accountable. What it’s about: The San Diego County government released a report on its response to the deadly hepatitis A crisis, and its assessment was as disturbing as the crisis itself. County officials used words like “success” and “innovative” to describe their reaction to a deadly and devastating outbreak that stole lives and made the city a subject of national derision. Why the writer likes it: Often, reports like these only make the news in straightforward write-ups that essentially just parrot the report’s main findings. 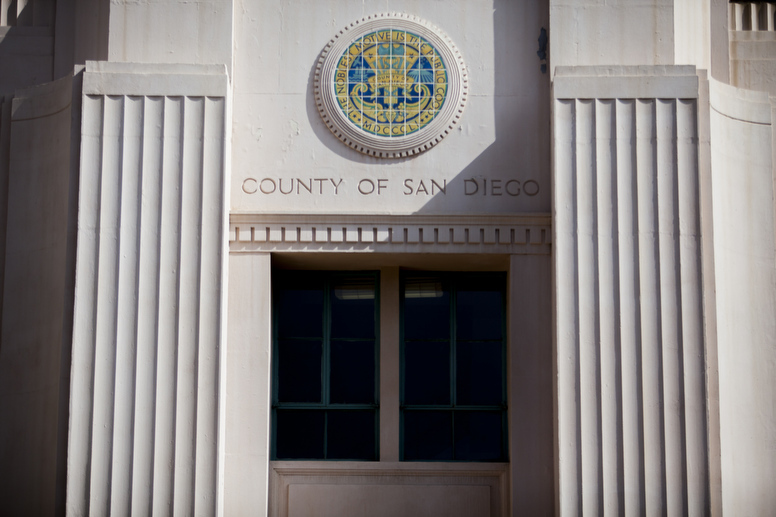 I felt an obligation to call out the county for abdicating its responsibility to substantially reflect on how it could have better served San Diego residents during this crisis. People dying in the streets is not an ideal outcome – but you wouldn’t have known it from reading this report. What’s Happening Now: The state just released its own separate audit of the county’s response to the Hep A outbreak, and it is far less enamored with county officials’ actions. 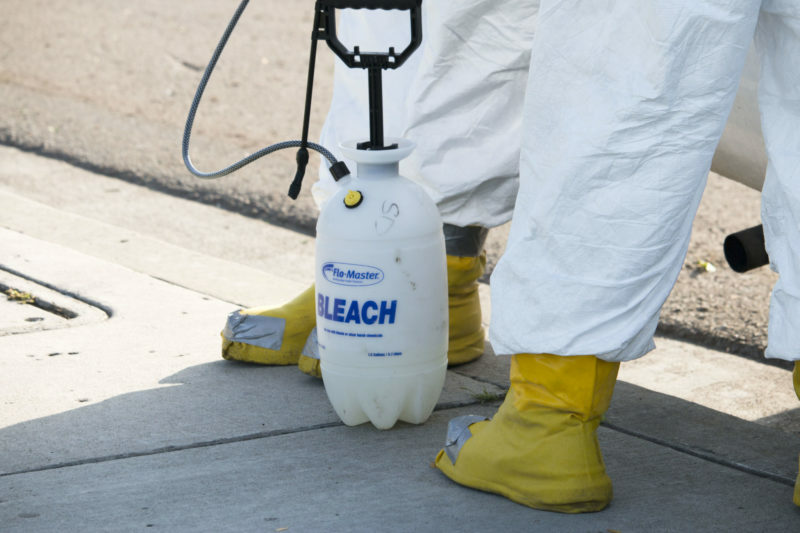 It includes the stunning, sickening revelation that county officials warned in an email in April 2017 that the outbreak had the potential to be one of the worst public health crises since vaccines were introduced. Yet officials the proceeded to spend months wrangling over bureaucracy, and did not declare a public health crisis until September — five months later. 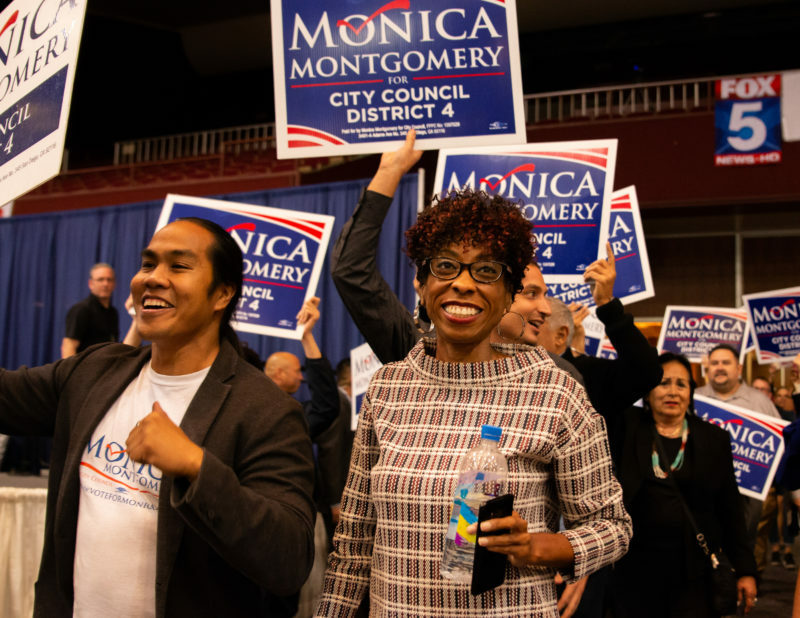 What it’s about: Few outsiders predicted Monica Montgomery’s first-place victory in the June primary against incumbent Myrtle Cole. So how’d Montgomery soar? She created a powerful grassroots campaign by channeling her community’s long-running dissatisfaction with its treatment by elected representatives, the downtown establishment, labor unions and the Democratic Party. Why the writer likes it: Like many reporters, I missed the extent to which District 4 residents had turned their frustration with the city into broad and dogged support for Montgomery. After the primary, I talked to as many residents and community leaders as I could about what was happening there. Cole’s comments on racial profiling had become the main topic, but it was obvious that was only one piece of the community’s frustration. On election night, Montgomery said she had changed the way politics occur in San Diego. She’s right. What’s happening now? Despite being outspent and opposed by major labor unions and the Democratic Party, Montgomery won in a landslide in November. No Council incumbent had lost since 1991; Montgomery defeated not just an incumbent, but a Council president and fellow Democrat who still had full establishment support. Since taking office, Montgomery has made good on a campaign promise and fully replaced the District 4 staff. She is now the chair of the public safety committee, where she’s pledged to fight for the Community Review Board on Police Practices to receive subpoena power to run independent investigations of police misconduct allegations. 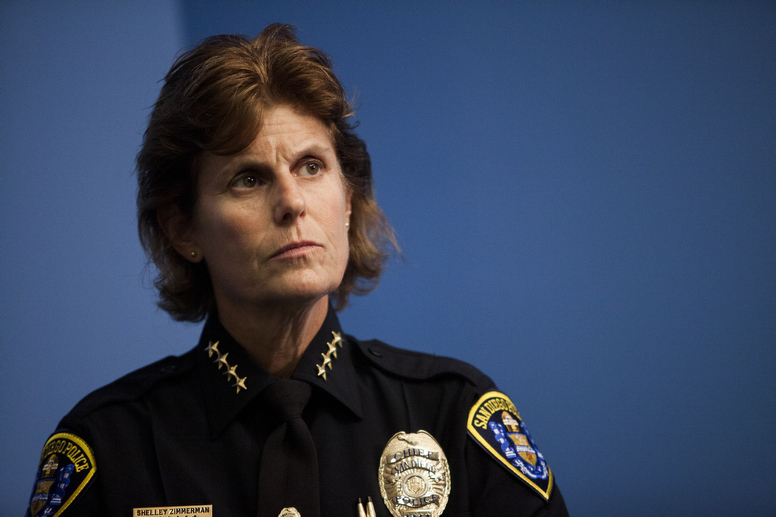 What it’s about: In September 2017, then-San Diego Police Chief Shelley Zimmerman urged officials not to expand the city’s marijuana industry into cultivation, manufacturing and distribution by pointing to 272 police radio calls to dispensaries over the past two years. Those calls, she said, were evidence of the grave public safety threat posed to communities by marijuana businesses. In the end, the City Council authorized the new permits. But Zimmerman’s warnings about the unique danger of marijuana dispensaries became a talking point wherever legalization debates spread in San Diego County. Why the writer likes it: Zimmerman’s numbers seemed high. But for almost a year, she’d gone unchallenged. After reading through all 272 radio reports, which provided basic information about the time and location of 911 calls and brief descriptions of how officers responded, I realized that Zimmerman — as marijuana activists were claiming — had wildly overstated her case. Many of the reports involved nearby businesses and unrelated incidents, like requests to tow automobiles. What’s happening now? Relations between SDPD and the marijuana industry have improved since Zimmerman retired in March. Dispensary owners say they’re more willing now to share information with police about suspicious things they see. Zimmerman, meanwhile, is exploring a run for mayor. What it is about: I followed up with Gaston Cazares, an undocumented father who was deported on October 2017 after living in the United States for almost 30 years. It had been six months, and Gaston was still trying to adjust his new live in Mexico without his wife and two children, one of whom is autistic. Why the writer likes it: A lot of immigration stories tend to focus on the fear of deportation and the steps being taken to prevent undocumented people from going through that process. But when someone actually is deported, reporters tend to just write a brief summary and then move on with their lives. Gaston’s case was always in the back of my mind ever since I first heard his story, so I decided to reach out to him to see how he was adjusting to life after deportation. While Gaston was fortunate enough to stay in Tijuana and have his children visit him every other Sunday, the separation was still very difficult. Cazares could not find work in Tijuana and was staying with relatives until he could afford to rent a place of his own. His son Ivan, who is autistic, was having a hard time adjusting to everyday life without his dad. Gaston’s daughter, Yahaira, was about to graduate high school and head off to college. She told me she felt guilty whenever she would be out enjoying time with her friends because she knew that her dad was struggling to adjust to his new life in Tijuana. This video showed a glimpse of how families deal with the aftermath of deportation. I can’t help but think of how families in other parts of the country deal with the same situation while being hundreds of miles away from their loved ones. What’s happening now: When I last spoke to Gaston in August, he told me that he was working at a food court and had saved enough money to move in to his own apartment. Gaston is still trying to get the necessary permits to run his own food truck business. What it’s about: This story detailed the case of Andrey Federovskiy, an asylum-seeker from Kazakhstan, who was caught up in one of the largest Immigration and Customs Enforcement operations in San Diego’s recent history. 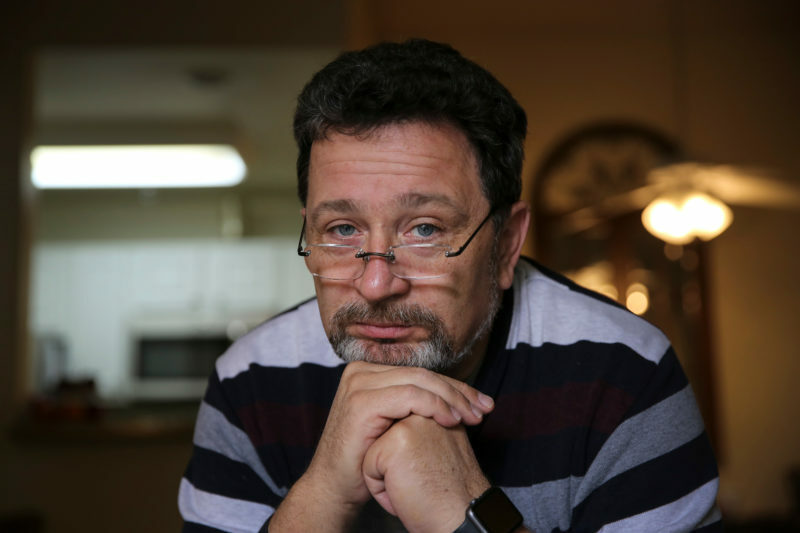 An international warrant sought his arrest; Federovskiy claimed that’s actually evidence that his government is persecuting him for his Christian beliefs. Though he had a pending asylum claim, immigration officials were trying to deport him. I followed Federovskiy’s case for months – from shortly after his arrest to when the immigration judge threw out the case calling for his removal. I sat in on every hearing, saw nearly every document submitted and spent quite a bit of time with Federovskiy himself. Why the writer likes it: The story was incredible, and not just because of Federovskiy’s experiences and what they reveal about immigration enforcement under the Trump administration. It also showed how paperwork problems and bureaucratic issues – like a lack of communication between agencies – can leave someone’s life hanging in the balance. What’s happening now: An immigration judge threw out the case against Federovskiy shortly after my story ran. Federovskiy has a pending asylum application with U.S. Citizen and Immigration Services, and he’s still working his way through that process to see if he’ll be granted full relief here. What it’s about: I’d been looking into the city’s inexplicably water high bills for a while. At first, San Diego city officials blamed customers and denied the city had any problems. Then, out came the truth. This mid-July story – reported with the folks from NBC San Diego – shows how officials hid problems with a multimillion-dollar infrastructure project, misled the public and dodged oversight. 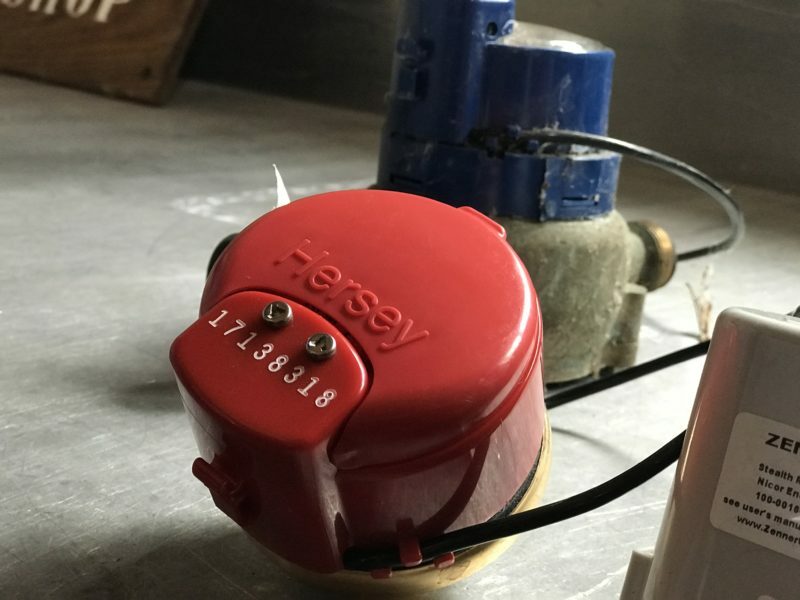 Why the writer likes it: We revealed that an unknown number – perhaps thousands – of newly purchased water meters had a “glitch.” We caught the head of the water department, Vic Bianes, telling his staff to hide information from the public. And we showed it didn’t have to be this way. Other officials in a nearby water district were having related problems. But they chose to acknowledge and correct the errors – in stark contrast to the piles of obfuscation and intransigence that San Diego officials dumped on the public and the press for months. I also enjoyed this for another reason: Often TV and print journalists have trouble working together, but not here. VOSD and NBC worked together and found ways to write and produce stories for our different audiences. What’s happening now? A few weeks after this story ran, Bianes stepped down as head of the department, one of several staffers to leave or be transferred amid our ongoing investigation. While the mayor has tried to clean up the department, problems keep cropping up. Recently, we learned that city officials had been misleading us and the public about water quality issues. For months, they said there are no lead pipes left in the ground. Lead, of course, is a toxic metal. In fact, they can’t say what 192,000 of their pipes are made of. The city faces not only unquantified public health risks but potentially enormous pipe replacement costs. Expect more stories in the New Year. 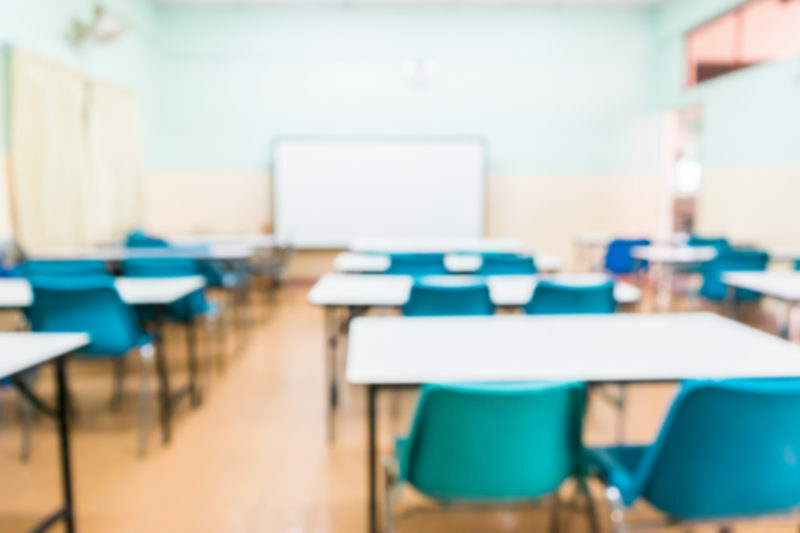 What it’s about: When a public school employee is accused of sexual misconduct, they may be moved to a different school or receive a favorable exit deal instead of termination. Children or employees who complain of sexual harassment often encounter a system stacked against them. A months-long VOSD investigation found that poor record-keeping, inconsistent school or district policies, union protections, costly litigation and disbelief protect employees credibly accused of misconduct. Why the writer likes it: Using district case files obtained under the state’s public records laws, VOSD’s series on school sexual misconduct peeled back the curtain of secrecy and confidentiality that typically keeps wrongdoing shielded from public view. What’s happening now: VOSD staff is continuing to review thousands of pages of documents and we are mapping the cases reported so far here. We also continue to fight in court for access to records of substantiated misconduct some schools and employees are trying to keep secret. 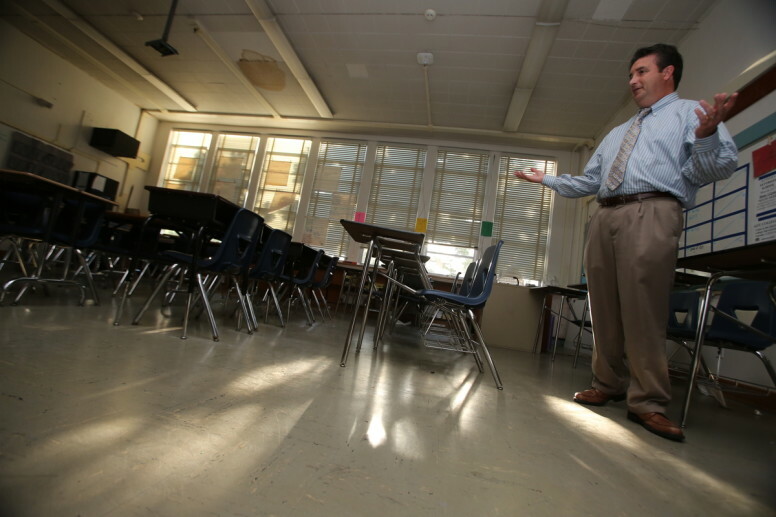 Most recently, a VOSD report about an Oceanside teacher who lost his teaching credential led to the resignation of that teacher and of the superintendent of the private school where he was employed. To pass a bond, San Diego Unified needs to spend hundreds of thousands of dollars to convince voters it’s a good idea. School district representatives actively solicit donations from building companies, which give money because they want to financially benefit from millions of dollars of contracts if the bond passes. San Diego Unified argues that its bidding process is completely clean and that it never awards work based on who has donated. Our investigation found that 80 percent of companies that gave $5,000 or more to a bond campaign had also won lucrative contracts to perform work for the district. Why the writer likes it: Regardless of how clean San Diego Unified’s bidding process is — and it’s at least partially subjective, as I laid out in the piece — it just doesn’t look good when people donate to causes that give them an opportunity to make millions of dollars later. What’s happening now? Until very recently, financial firms – which also made millions of dollars from bonds – also donated to pro-bond campaigns. But in 2016, the state treasurer’s office decided to stop doing business with any financial firm that also donated to a pro-bond campaign. The state Legislature could similarly curb donations to local school bond campaigns. 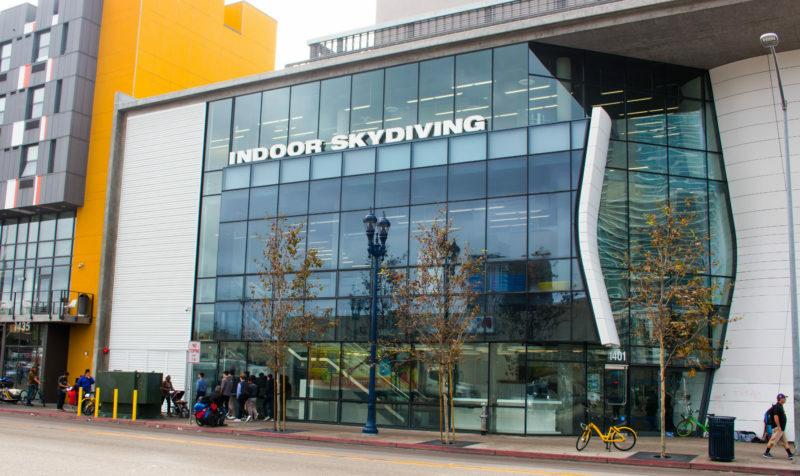 What it’s about: Early this year, the city rushed to buy a shuttered indoor skydiving center in East Village in hopes of turning it into a navigation center for homeless San Diegans. It just so happened that a real estate financier who has long obsessed about the need for a service hub for homeless San Diegans was a central player in the rapid, unprecedented purchase. But some homeless service providers and experts have publicly and privately questioned whether the project can deliver the solutions that Mayor Kevin Faulconer and his team have promised. There have been many, many questions about the deal the city did — or didn’t — get on the building, the rushed process to buy it and the city’s plans for a building that houses two three-story glass wind tunnels. Why the writer likes it: I enjoyed unraveling the facts surrounding the purchase of the former skydiving center and the downtown real estate financier’s ties to the project. There’s still more I’d love to know about how the story played out behind the scenes. What’s happening now: In November, amid protests, the City Council voted to move forward with the controversial navigation center concept and approve a contract with nonprofit Family Health Centers of San Diego to operate the center. City officials say they hope to open the facility in late spring. 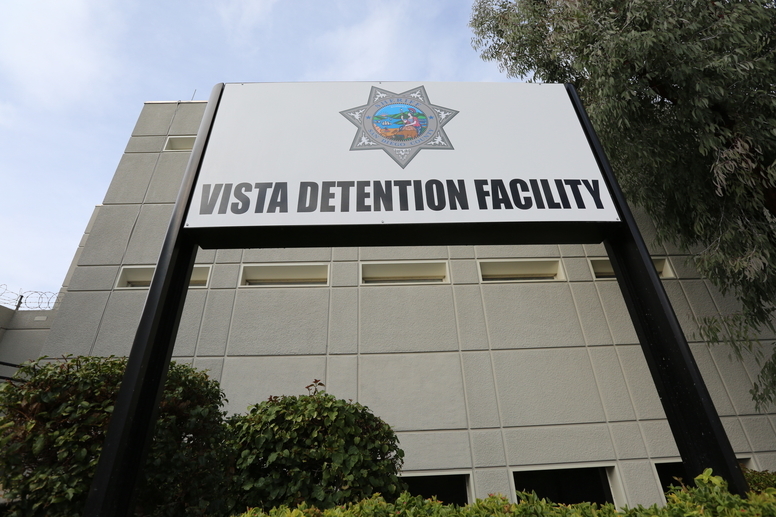 What it’s about: Earlier this decade, Kelly Davis — a local journalist who writes for VOSD among other publications — co-wrote a stunning series about local jail deaths titled “60 Dead Inmates” for CityBeat. Davis and fellow reporter Dave Maass chronicled a shockingly high rate of killings and suicides behind bars. Why the writer likes it: The county’s targeting of Davis — who is fighting advanced breast cancer — was mean-spirited, cruel and illegal too. I was proud to join other press advocates and bring national attention to the county’s wrongdoing in this case. What’s happening now? Stung by a judge’s ruling, county attorneys decided to back off their targeting of Davis, who continues to produce some of San Diego’s most important journalism. But county prosecutors later went after another journalist, trying to force him to cough up unaired news video of a car accident. A retired judge told prosecutors to knock it off. What it’s about: San Diego County’s Project 100% requires anyone applying for CalWORKs — California’s version of welfare — to agree to an unscheduled home inspection as part of the application process. The point of the inspection is to root out fraud, but a lawsuit filed in June by the ACLU argues P100 disproportionately targets women and people of color, in violation of state anti-discrimination laws, and is a poor use of county resources. Why the writer liked it: A decade ago, while I was reporting on problems with San Diego County’s food stamps program, I met a young woman named Hilda Chan who was working as an advocate with the Supportive Parents Information Network, which provided assistance to aid recipients. She and I lost touch, but I’d heard she’d gotten a fellowship to study P100. This story gave me a chance to check in with Chan and find out what her research uncovered: Not only did she find that the county significantly inflated fraud rates, but there was no real need for P100 in the first place. The program was launched in 1997 because investigators with the district attorney’s public-assistance fraud unit weren’t getting enough referrals. P100’s home inspections gave them something to do. Inspections are now handled by investigators with the county’s Department of Child Care Services who, a spokeswoman told me, are better equipped to assist CalWORKs applicants should they need additional services. But the necessity of the program remains an issue. Last year, P100 found fraud in only about 6 percent of applications — a savings of $305,000 — but cost roughly $2 million to operate. San Diego is the only county in California with such a program. What’s happening now: In November, a judge granted the county’s request to dismiss the case, but gave the ACLU the chance to submit an amended complaint. That complaint, filed earlier this month, “includes more detailed allegations about the harm P100 causes applicants,” ACLU staff attorney Jonathan Markovitz said.